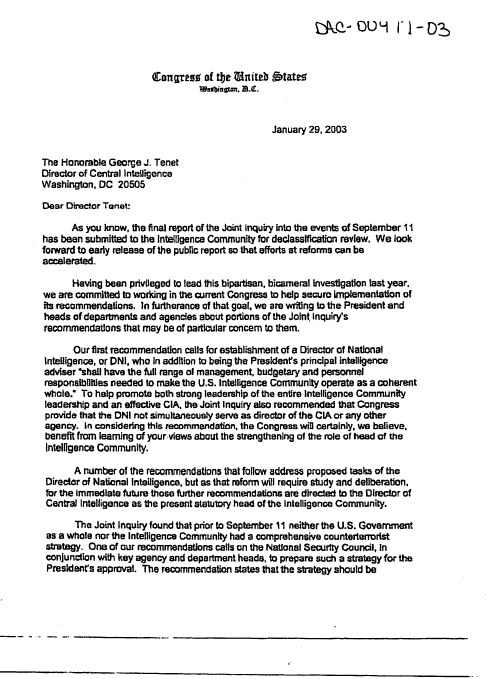 The following document containing 28 pages that were previously unreleased and remained classified until recently are from a congressional inquiry into the attacks of September 11, 2001. 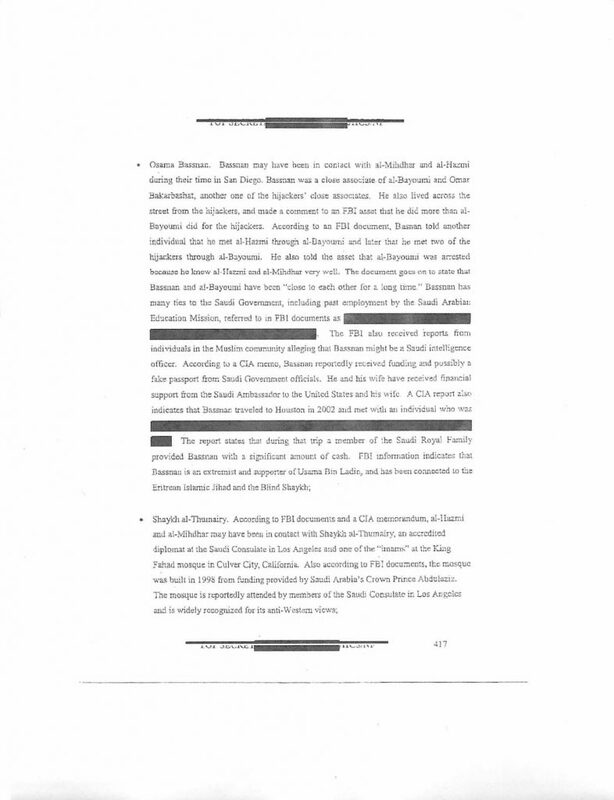 The 28 pages were finally declassified July 15, 2016 and released by the House Permanent Select Committee on Intelligence. 20. 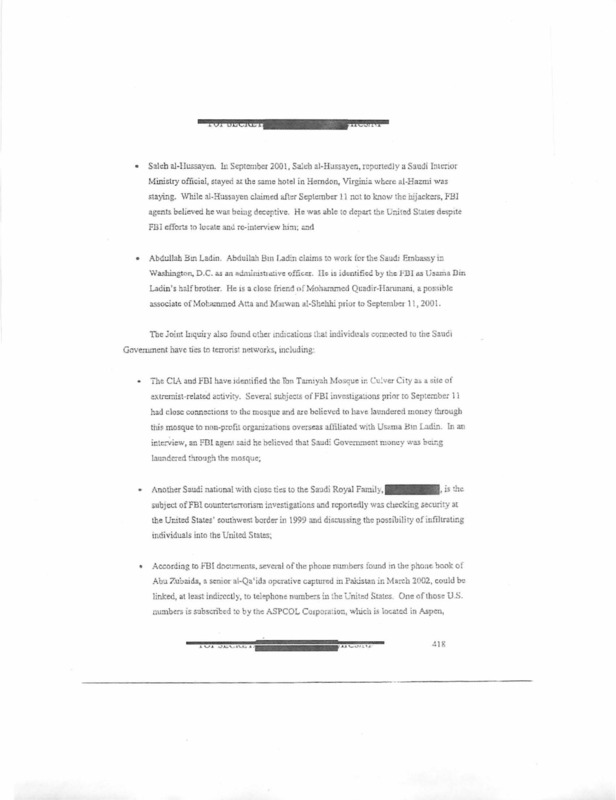 Finding: While in the United States, some of the September 11 hijackers were in contact with, and received support or assistance from, individuals who may be connected to the Saudi Government. 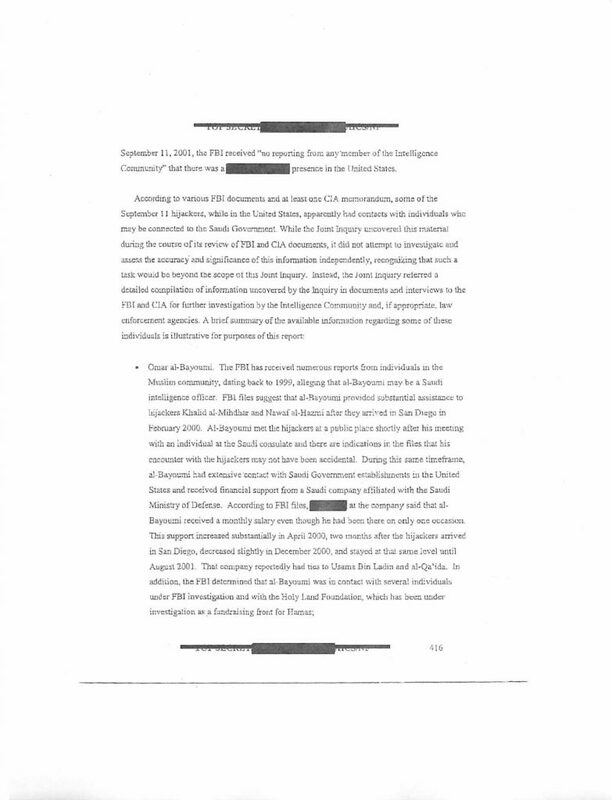 There is information, primarily from FBI sources, that at least two of those individuals were alleged by some to be Saudi intelligence officers. The Joint Inquiry’s review confirmed that the Intelligence Community also has information, much of which has yet to be independently verified, indicating that individuals associated with Saudi Government in the United States may have other ties to al-Qa’ida and other terrorist groups. The FBI and CIA have informed the Joint Inquiry that, since the September 11 attacks, they are treating the Saudi issue seriously, but both still have only a limited understanding of the Saudi Government’s ties to terrorist elements. In their testimony, neither CIA nor FBI witnesses were able to identify definitively the extent of Saudi support for terrorist activity globally or within the United States and the extent to which such support, if it exists, is knowing or inadvertent in nature.